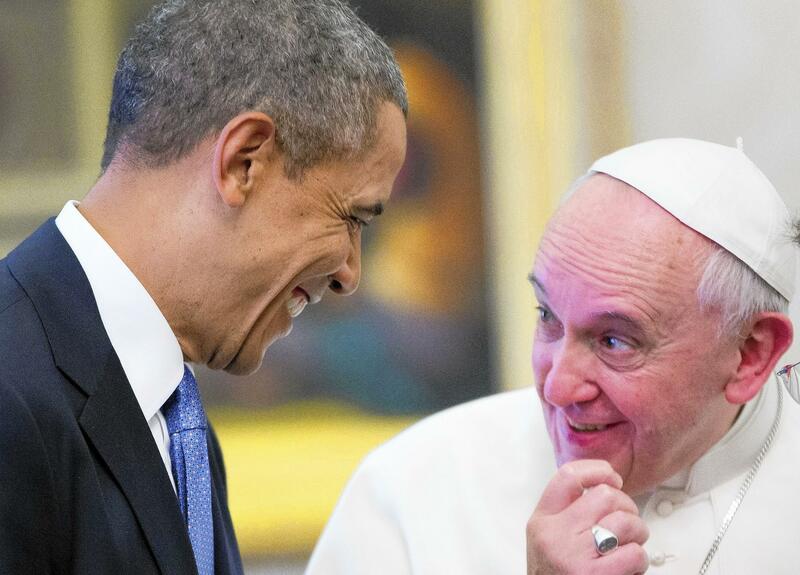 The Pope and The U.S. Cuban Breakthrough: Gracias pero…. It’s fine to thank Pope Francis, but let’s not overplay the idea that the Vatican took a significant role in the historic change of U.S.-Cuban relations after more than half a century. Officials in Washington and Havana have been in contact all along, albeit at lower levels through their periodic and sometimes secret meetings in Havana and Washington. They didn’t need an intermediary–they needed a political moment, and the timing is perfect. It is great that the pope could provide a meeting room, write some letters to presidents Obama and Castro and express his concern on humanitarian grounds for Alan Gross and the other prisoners on both sides. But the Vatican involvement is probably little more than diplomatic cover. Cuba is a Catholic country, the pope is seen as a progressive peacemaker; perhaps the idea of his participation soothes the animus of a few Cuban exiles in Miami with the inference that President Obama listened to a higher power. Neither did the countries need to meet in Canada, other than for the sake of following through on diplomatic protocol. Rarely have two countries known one another as well as do the United States and Cuba. The change in relations has its own moment. First, President Obama can do it now without expending much political capital. He need not face elections again and taking this step right after the midterm elections can cushion the eventual Democratic presidential candidate from what he has done. Meanwhile, the profile of Senator Robert Menendez, one of the key opponents to a modern rethinking of Cuban policy, is on the wane. He will move aside as chairman of the Senate Foreign Relations Committee when Republicans take over in January. In addition, a persistent domestic political problem for Democrats is wasting away with time. Florida International University’s most recent survey about Cuban-American views of the embargo is emblematic of change. This year for the first time the tri-yearly survey shows that a majority of Miami Cubans support an end to the Cuban embargo. Florida was once a more troublesome problem. Democrats thought they could not win Florida’s 29 electoral votes without taking a strident anti-Castro position. President Obama, however, took Florida both in 2008 and 2012 with the support of Cuban-Americans. Times are changing. The pope is Latin American and his support cannot hurt. But the eventual resumption of Cuban-American relations has everything to do with two presidents of two countries, one term-limited out and the other dealing with actuarial tables. Whatever mix of forces are at play, it is good news. A big step in the right direction. Thanks, Peter, for World Desk.